KCHelpdesk's premiere IT Managed Service plan, is based on your business's unique technology needs. Our consultative, proactive IT process delivers support at a price your business or school can afford. This truly revolutionary IT support system outsources all of your IT needs, thus cutting your costs, saving you time and ensuring your systems are secure, up-to-date and reliable and that your staff has the support they need at their fingertips. Interested in what service plan fits for your company? Please click on the PCMD text below to learn more. Storing data locally leaves it at risk to threats like fire, theft, and natural disaster. Keep a copy of your critical business data off-site in our secure cloud. We offer automated and encrypted cloud backup in highly secure data centers, ensuring that if something happens to your office or place of business, your files are still safe. Want to learn more? Please click on the Orb-IT icon above. 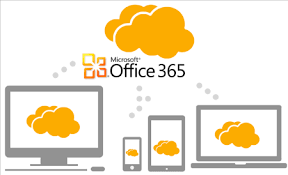 Interested in what Office 365 package is right for your company then please click on the Office 365 icon at the top.